We are excited to offer classes to dancers of all ages and levels. Visit us at our new studio! train your skills to the max! CM Dancing was established in 2005 and provides dance lessons for children ages 2 to 17 years across the city of Hamilton. We offer several programs designed to inspire young dancers to follow their dreams and express their emotions through movement. We pride our studio to be an inclusive environment for children of all abilities. CM Dancing is an enjoyable place to learn, allowing dancers to feel safe and grow confident in their abilities. for dancers of all ages! A fun-filled program for dancers ages 2 to 17 years. Offering jazz, tap, ballet, hip- hop and acro at this level. All dancers participate in a yearend showcase attended by their friends and family. This offers a wonderful opportunity for children to gain stage presence and to show off what they’ve learned all year. This program is perfect for the dancer who is ready to dance at the next level. 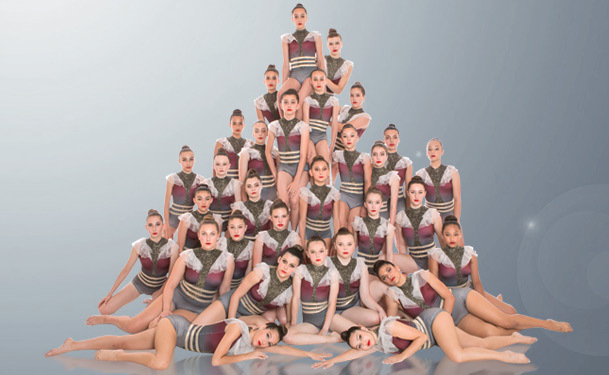 These dancers participate in 5 hours of lessons per week and compete at several local competitions. There is nothing like improving confidence and the ability to perform in front of an audience! This is a full commitment program for dancers with a true passion for the art of dance. Our award-winning competitive team is selected through an audition process and includes an extensive weekly dance schedule. This team travels to competitions across Canada and the United States. Our team creates memories and friendships that will last a lifetime.